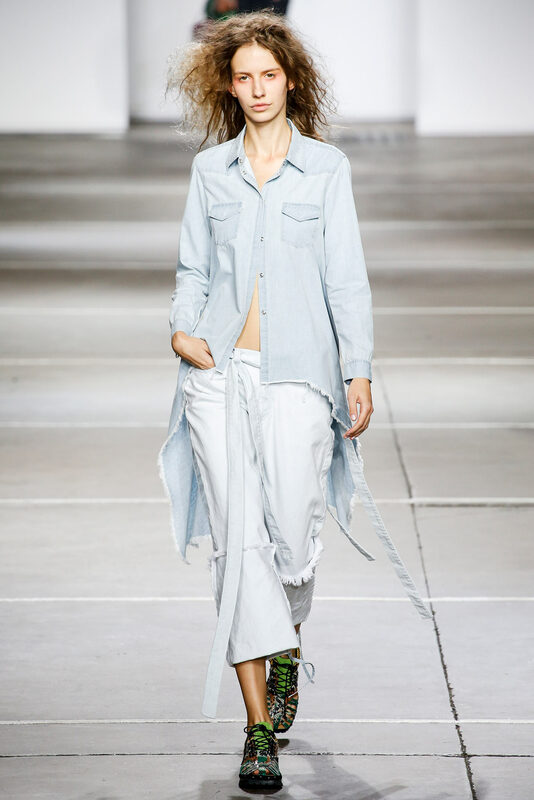 Much of the work of Marques’Almeida nibbles on an old drumstick: Denim – which doesn’t stop it being the sartorial rage of the moment.. 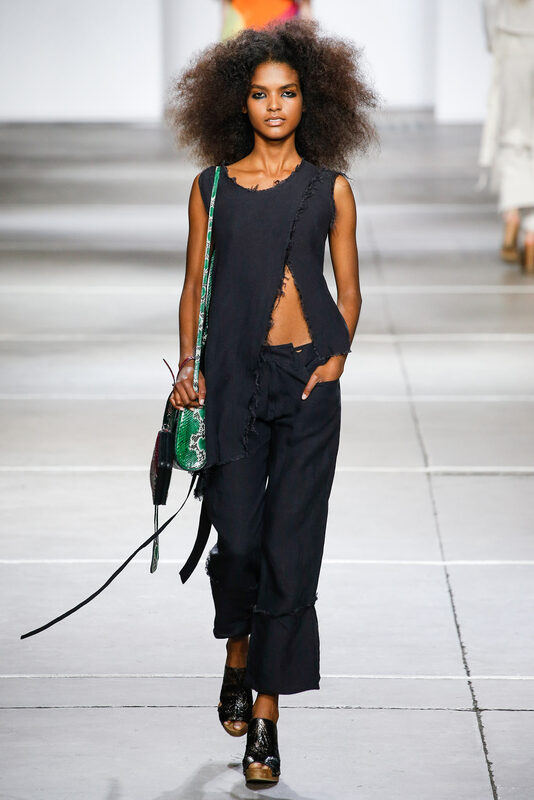 It plays to that thrilling duality of grunge and deconstruction meeting designer brand. But this denim is smarter, sharper… fruitier..
Straight talking boxy shapes that still hold a seductive allure. And if you didn’t know already, they’re doing a collab with Top Shop on the 10 November..one for the diary.. Check out those sleeves – It may be a drumstick – but it’s a top of the range organic one cooked sublimely in a heavenly sauce by a caring Michelin starred chef..
Love this! Those purple shoes! Ripped denim!